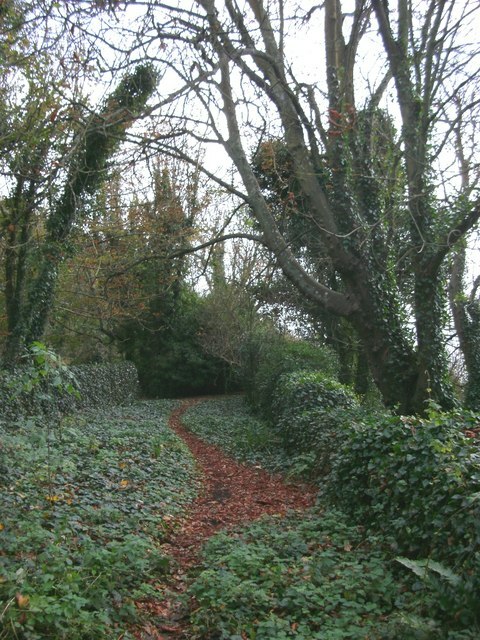 This is a view of the "lost road", a section of the now-overgrown road at the foot of Gore Cliff that formerly connected Blackgang and Niton. Now this section is cut off at both ends by landslips caused by soft clay underlying the harder strata of the cliff. © Copyright Ray Girvan and licensed for reuse under this Creative Commons Licence.